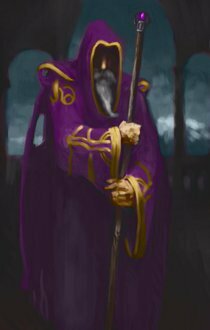 Ostran is a very powerful wizard. He was advisor to King Edwin and even a brief time to Princess Alexandria. Hailing from the Island of Brockhelm, he helped King Edwin to once again form an alliance with the dragonborn race of Krater Island. Within the company of his brethren and the Medrash clan Ostran came across as a very mysterious man. When the king mysteriously died, Ostran became advisor to Princess Alexandria. He convinced her that the dragonborn were responsible for her father's death, although this statement was never proven. The morning before the Medrash massacre, he spoke to Rhogar. He explained to the Medrash leader that he had heard some information, that the Thava clan will launch a huge assault on the castle. He suggested to Rhogar to take all of the clan and wipe the Thava clan from the island. He succeeded in convincing Rhogar to leave the castle but only with a few and not all of the dragonborns. By the time Rhogar came back to the castle, Ostran had already left. It is presumed that Ostran betrayed the humans and took them prisoner and that he cast a spell on some of the remaining dragonborns turning them to stone. Ostran's true goal is far from clear, and what his future intentions are still remains a mystery. No one knows where in the world he is. Rhogar later returned to Castle Medrash, with an old drunk mage, Fizpon. It was revelead that Fizpon was Ostran yet reborn into a different body.